Fil Cordon de Nylon fil de pèche, Epaisseur: 0.8mm, Longueur: Bobine de 40 mètres, Tarif dégressif déjà à partir du 2ème objet dans toute la boutique! Expédition sous 24h!. GRAFFITOLIN FERRULE WAX. Graffitolin verhindert das sich die Rutenteile. auf Ihre Rutensteckverbindung. einfach an einen D-Ring Ihrer Weste anbringen. Eines der wichtigsten Produkte von Loon! 60# MUSKY / PIKE FLUOROCARBON LEADERS - Crane Swivel. Z LEADERS Musky / Pike Fluorocarbon Leaders are nearly invisible to fish. Fluorocarbon provides you with a more stealthy presentation often needed to catch finicky and pressured fish in clear waters. 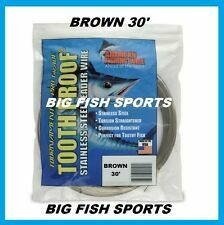 Listing is for 1 spool of Power Pro Braided Line 300yd Filler Spool Test: 20lb Color: Moss Green Advantages of Braided Line over Monofilament: No stretch allowing for better hook sets! Lets you feel even the softest bite! 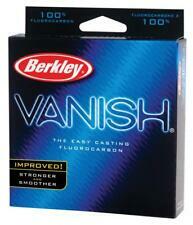 Thin diameter allowing for long distance casting! . FREE USA SHIPPING! IN STOCK READY TO SHIP!